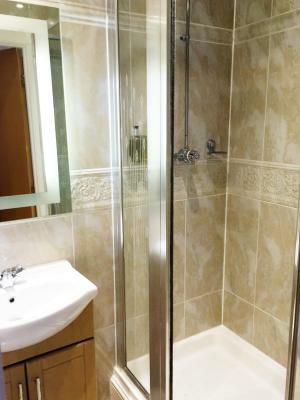 Location is very ideal in that it is so close to Paddington Underground and Rail Station. The location is excellent for this hotel. It is in a very safe area with lots of people about all the time so you never feel like your in a sketchy area. The breakfast is good in the morning with plenty to eat. Wifi is good and has plenty of speed to get what you need done. Rooms are just what you need and not to much. Plenty of places to plug all my electrical devices in and still have them convenient. It was well located and the staff were very friendly. The breakfast was generally ok too. 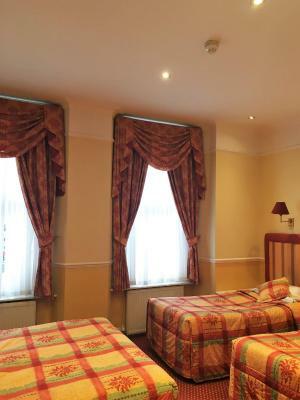 Very good location close to Paddington Station. Quite area but with some restaurants and pubs. Clean comfortable rooms, polite helpful staff, easy check-in, breakfast adequate...could have been hotter. Bathroom very clean. Shower nice and hot. First Lady who greeted us very warm and welcoming. Other staff indifferent. We arrived hours early and was hoping just to store our bags but we were given a room straight away. The excellent service started then and continued through out our stay. Breakfast staff were very attentive and happy. Just a nice feel about the whole place and location was perfect for where we needed to be. Excellent location very close to Paddington station. Very nice staff and great breakfast included. 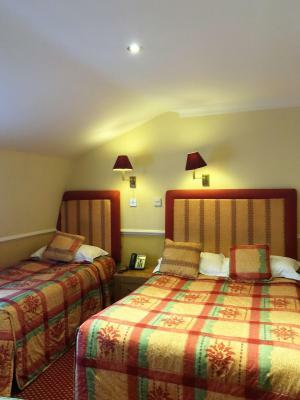 Very nice sheets and comfy beds. Overall a very good place for the price. However, the shower head barely worked and the drain was clogged. It filled with water in a few minutes and could have flooded the unit below. I mentioned it to the staff and nothing was done. 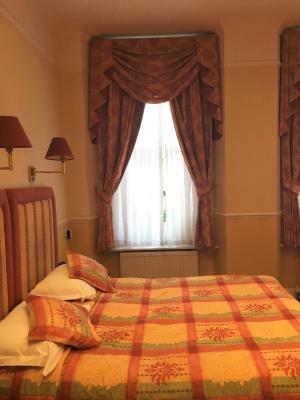 Hyde Park Radnor Hotel This rating is a reflection of how the property compares to the industry standard when it comes to price, facilities and services available. It's based on a self-evaluation by the property. Use this rating to help choose your stay! 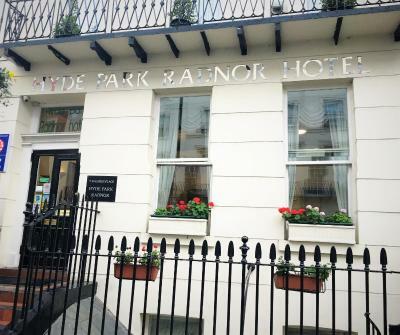 The Hyde Park Radnor Hotel is located less than 1,300 feet from Hyde Park and a 3 minute walk from Heathrow Express/Paddington tube and main line. 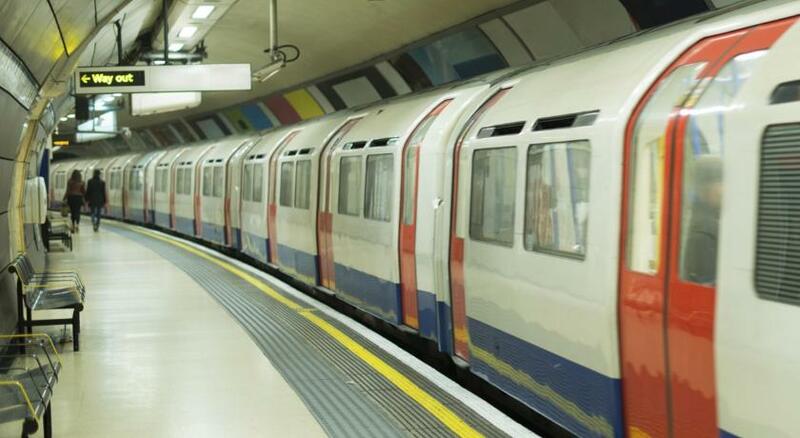 Lancaster Road Tube station can also be reached within 5 minutes on foot. 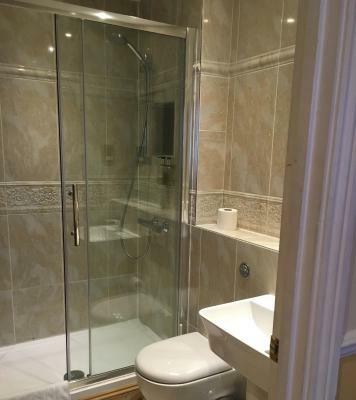 Each room comes with an private bathroom, a TV and tea/coffee making facilities. 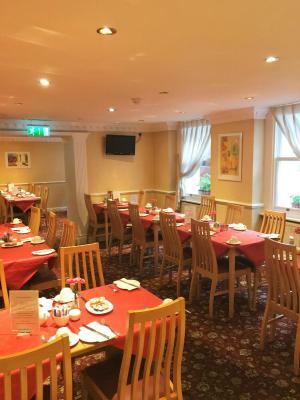 A full English breakfast is served each morning, along with continental options. A selection of restaurants can be found within a 5-minute walk. At Hyde Park Radnor you will find a 24-hour front desk. Other facilities offered at the property include a shared lounge and a tour desk. The shopping district of Oxford Street can be reached in a 15-minute tube journey via Paddington station, which is a 3-minute walk away. 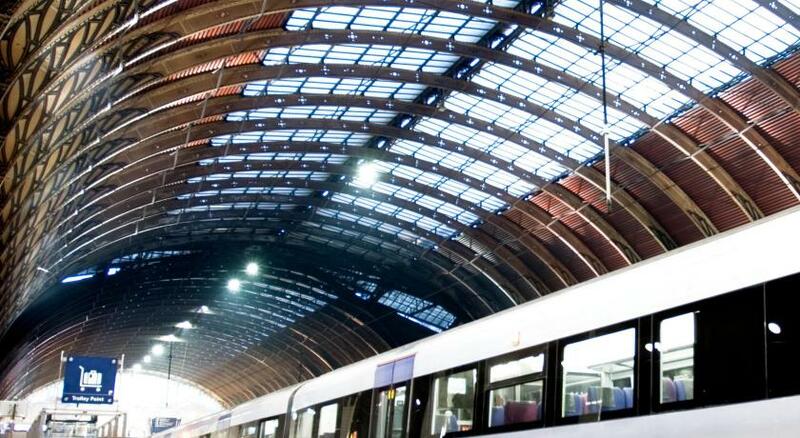 An express service to Heathrow Airport also leaves from Paddington Station. 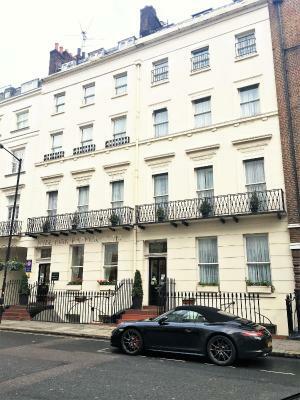 The museum district of South Kensington is just 1.3 miles away from the property. 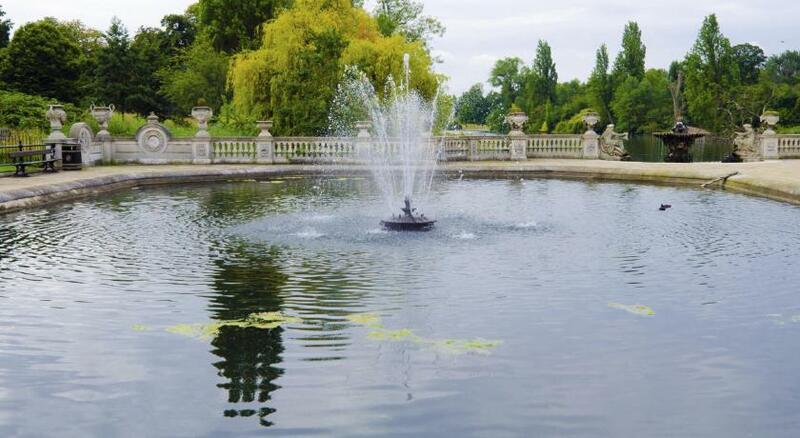 When would you like to stay at Hyde Park Radnor Hotel? 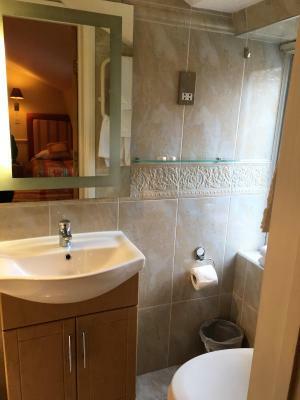 Free WiFi, an private bathroom and a TV are featured in this room. Please note that this room is located on the lower ground floor. Area Info – This neighborhood is a great choice for travelers interested in shopping, parks and city walks – Check location Great location - show map Guests loved walking around the neighborhood! House Rules Hyde Park Radnor Hotel takes special requests – add in the next step! Hyde Park Radnor Hotel accepts these cards and reserves the right to temporarily hold an amount prior to arrival. Please note that the card used for payment needs to be presented on arrival to validate your booking. Please note the luggage storage is only available before check-in and after check-out time, up to 23:00. There is no secure luggage room but luggage can be left at the reception prior to check- in and after check out. Please note that arrival outside check-in hours or departure outside check-out hours is possible upon a surcharge. All requests for late arrival are subject to confirmation by the property. Breakfast could be extended an hour. The bed was sooo comfortable! 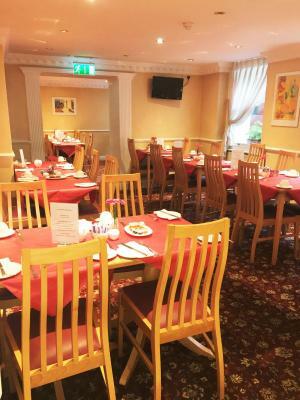 All staff was very pleasant and helpful when we had any questions. The location was excellent in that transportation was within a five minute walk and many great restaurants at a walking distance. Great value for what we paid! It should be noted that the bathroom was a bit small but that is something you expect in European countries. Myself and my DD's sometimes had some trouble getting in the shower but we made it work! So worth it staying here! I returned back to the hotel in the early hours of the morning. I was on my way to my room and had two friends with me. We were going to the room so that my friends could charge their phones for 20 minutes. The staff member at the desk aggressively said 'What is your room number' as we were entering the lift. I responded '205' and at this point the staff member leaped over the desk and demanded to see my card. When I gave him the card he appeared surprised to see that indeed I was telling the truth and that my room was in fact 205. He returned my card and refused to allow my friends come up to the room with me to charge their phones. I went upstairs and brought my charger down to the lobby where we then charged the phones. I understand if the hotel has a policy on refusing to allow large numbers of people to enter a room when it has been booked by only person but the aggressive manner of the staff member (leaping over the desk and aggressively confronting us) was way over the top and we were all completely shocked by his behaviour. This was my fourth time staying in this hotel and I had continued to come back due to repeated good experiences. However, after this experience I will never be staying in this hotel again. The beds are terrible, the doors are thin (could hear everything in the hallways), the desk is useless. Not for business trips. Accommodation worn and tired, blankets not duvets, breakfast rushed and given an English breakfast without asking what we wanted. This was the first stop in our 25 day European vacation. We needed a comfy family room for two adults and two teenagers and this fit the bill perfectly! The room was exactly as pictured and the beds were really comfy! Nice view out to the street and the bathroom was great! Daily breakfast was also great and especially when she let us customize it a bit to our liking! Nice start to the day. 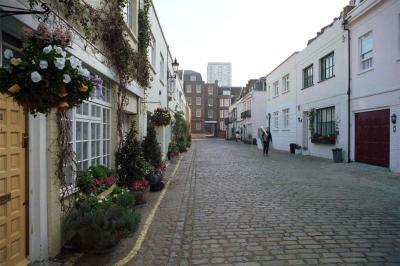 Location was excellent, lots of good pubs and restaurants close and the Tube was very handy! 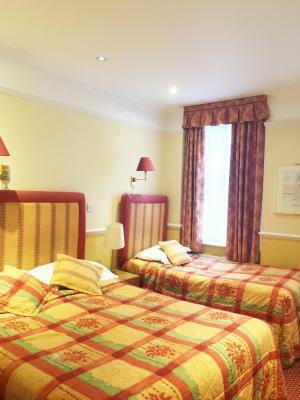 We were so very lucky as we arrived in London early in the day and the desk staff were so very friendly and accommodating to our tired travels that they hustled to get us in our room early! We were so appreciative! Everyone we interacted with was fabulous but especially the ladies running the breakfast! So lovely! Thank you for making the first leg of our journey so wonderful! If the breakfast had been warmer it would have been appreciated. The bedroom carpet could have done with a clean. Good powerful shower, the lift was good as I was on the 4th floor. Wi-Fi worked well. Heating Radiator was not working and has not been fixed during five days. They gave an electrical heater instead, which was not very comfortable to use. Not much to see or do in area. Room is very small. No place for clothes. 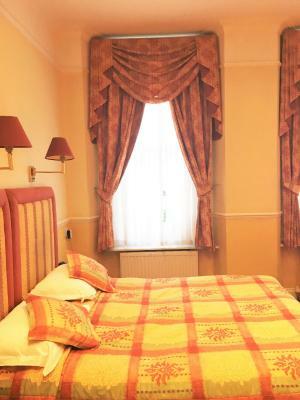 Close to Paddington station and London underground. Quite, clean area. The breakfast finish at 9. 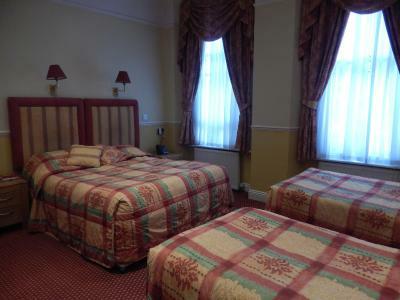 The staff were helpful...location near Hyde park and oxford street( 5 min walking),,,also near to metro (Paddington). The style of The bedding in in need of extreme updating. The comforters on the bed doesn’t look nice. The bathroom is so tiny and the shower was so small. It was not very comfortable. 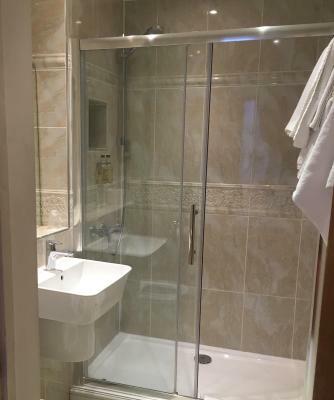 This property is so convenient and close to paddinton station. The bed was comfortable. It was fine for a night. It also has a lift which makes handling big luggage much easier.